It's Friday-Eve so that means only one thing: Time for a new CASE Study! AND as it's the first challenge of the month, CASE Study is welcoming the talented Amber Kemp-Gerstel as January's muse. My card today is inspired by the sweet hearts and crisp, white space on this beauty of Amber's up for studying this week. Pair dies to make custom shapes. I created my DIY Polaroid frame by pairing a rectangular & a square Nestability die! Keep the scraps! My mini-hearts are actually the leftovers from a lace heart border punch (Thanks, Diva!). No busy backgrounds when it comes to this shaker card. I want my guy to focus on those hearts & their magic, as well as understand the card's message on first glance. I'll be back tomorrow, hopping along with Uniko Studio so stay tuned & see you soon..! Love your heart shaker! 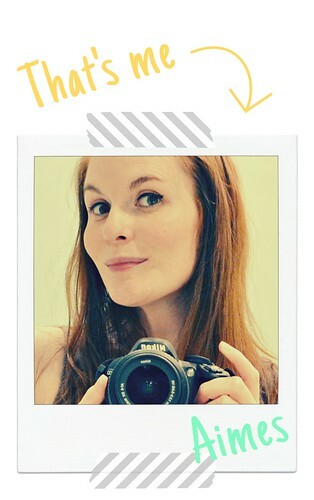 Cute new blog look, too! Ooh, this is stunning! Such a cool idea. Wow, Aimes, this card is wonderful! Ooooh LURVE the new look my dearie! As always you are Mistress of the moving cards - this ones a really beauty. Big huggy thanks too for the scrumptious (in more ways than one) felty-licious mushys at Christmas - couldn't stop 'touching' them lol. Gorgeous shaker card...I love it Aimes! Love the shaker card! Perfection! And, the new blog look is super cute! Wonderful card! Can you link up any help on how you did here the shaker part, please? I'm not sure. :) Thanks! Lots of white with a pop of colour...love it! EEEK! OMG I love this Aimes - so stinkin cute!!! Love it. I usually save them, but rarely remember to use them. Love your simplicity on this card. I've loved Amber's card since I first saw it, but I'm thinkin' your totally CAS take on it may be even better. So much wonderful white. 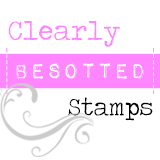 Love your new blog look and this sweet little card! 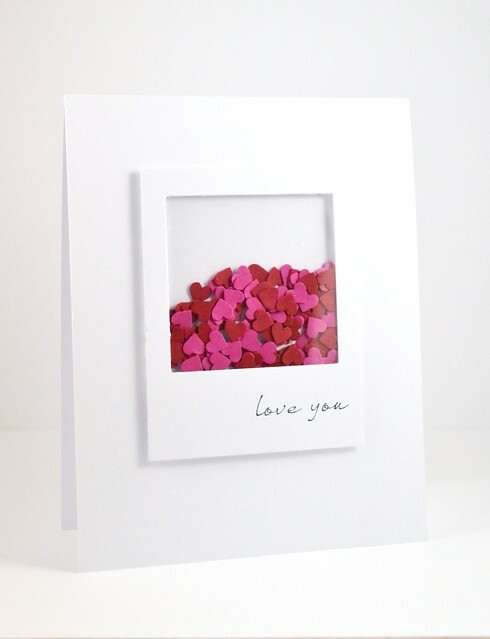 You were so smart to keep the rest of the card pure white to really make those hearts pop! WOW!! Such fabulous design and wonderful card! LOVE it! This is just too amazing. Wow. Just wow. Your shaker card is amazing Aimes! Awesome. Wowzer--I absolutely love this & bet he did, too! I have yet to make a shaker card--shameless, I know! Love how you made the polaroid frame--I can do that! 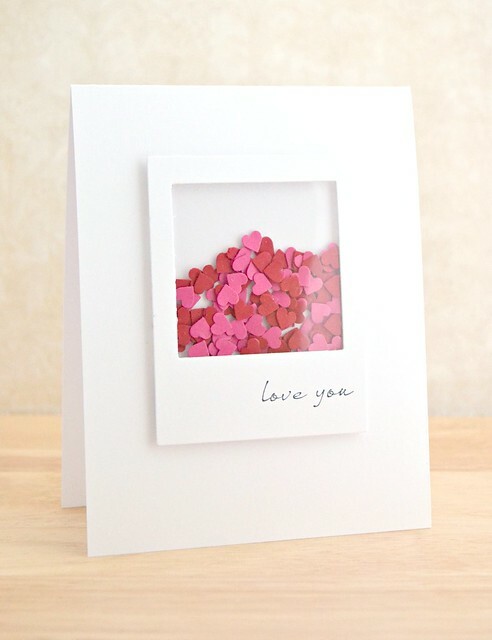 I found your beautiful card via Pinterest - thanks for sharing! You've inspired me! I found your card via Pinterest today - congratulations! Thanks for sharing - you've inspired me! Fabulous ! CAS perfection I too came via Pinterest love this beauty, this is my kind of card.